New World Record Tuna Price | FISHING FURY - A Fishing Blog with Attitude! 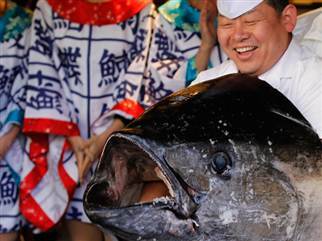 About the same time last year, the most expensive tuna ever sold went for 32.49 million yen ($400000USD). That record smashed the previous record, and this year it has happened again, by an even larger margin! 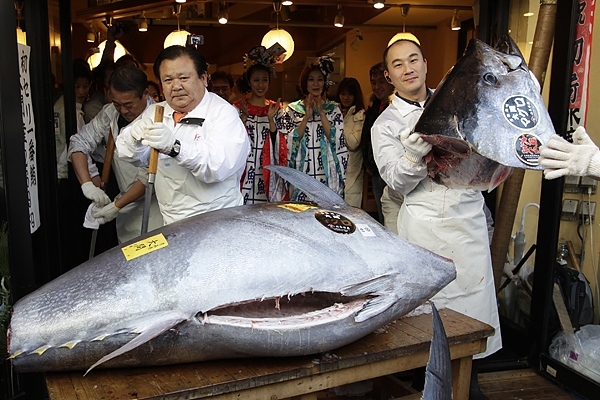 Thursday morning a 592 pound (269kg) tuna sold for a staggering $736500 USD (56.49 million yen) at Japan’s Tsukiji fish market. It has been reported that the cost of this tuna would mean that a single slice of sushi could cost as much as 5000 yen, but the firm plans to sell it at a more regular price of up to 418 yen. Another Year, Another Record Bluefin Tuna Sale | Fishing Fury - A fishing blog with attitude!